The Hampshire Bird Club was founded in 1984 after a group of birders gathered to observe a Great Gray Owl in a wintry field in Hadley, Massachusetts. Amidst the excitement, they realized that birders abounded in the area but needed an organization to bring them together. On April 9, 1984, the club held its first public meeting, and on May 19, its first field trip. From these simple beginnings, HBC has grown into an incorporated 501 (c) (3) non-profit organization. Our purpose is to help people enjoy birding, and to assist them in learning about birds, bird-watching, and bird habitats. Our community includes people ranging from casual bird observers to the avian-obsessed. Many of our founding members are still active in the club. We gather on the second Monday of each month from September through June in Amherst, Massachusetts. Each evening begins with a general meeting to allow us to share bird sightings, hear about current events in local birding, peruse the library collection, and shop the HBC Boutique, all while enjoying member-donated refreshments. This done, we settle back for a program presented by one of a series of nationally and even internationally renowned birders and ornithologists who visit throughout the program year. Our program meetings are currently held at the Immanuel Lutheran Church in Amherst, MA. We run field trips throughout the year. These include same-day jaunts to local birding hotspots, and overnight adventures to more exotic and distant locales. 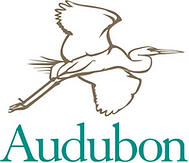 HBC plays a pivotal role in several local Christmas Bird Counts and runs the Northampton Christmas Count organized under the auspices of National Audubon. Our Education Committee presents bird-related educational programs specifically designed to interest people who are just beginning to investigate the wonders of the feathered world. Our membership year runs from October 1 through the end of September. Members have choice of a hard copy or on-line newsletter, produced each month from September to June. HBC maintains a library of birding and bird-related materials, housed at the Hitchcock Center in Amherst, and available for loan by members. The HBC Boutique is a collection of HBC paraphernalia ranging from HBC T-shirts, sweatshirts and hats, to handy birding accessories like binocular harnesses, checklists etc., all available for sale. The Boutique is open for business at all HBC meetings. We operate in accordance with a comprehensive set of By-Laws and the club is kept running by an all-volunteer Board of Directors. Members serve for varying terms in various capacities, doing the work necessary to keep this vibrant organization healthy. If you have questions for us, please contact us at [email protected]. HBC operates an email-based Rare Bird Alert. You can sign up to be notified when rare birds are spotted in the area, or report one at Rare Bird Alert.